The 2018 Oktoberfest was a great success. Thanks to all the volunteers and our visitors. See you all next year. Tickets available at the gate, or pre purchased. 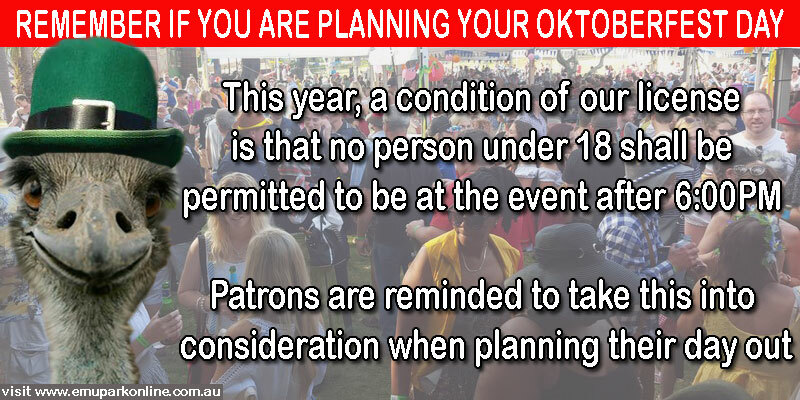 Please note that all persons under 18 years of age must have vacated the venue before 6:00pm. Adults wishing to return will be issued with a passout for re-entry.